I've basically been on a little downer since the Cambridge ride. I know the biggest things was the high winds, cold temperatures & muddy start which sucked most of the energy out of me. It was one of the hardest rides I've ever done. After discussing afew things on the London Brompton Club about training and improving my Cadence. 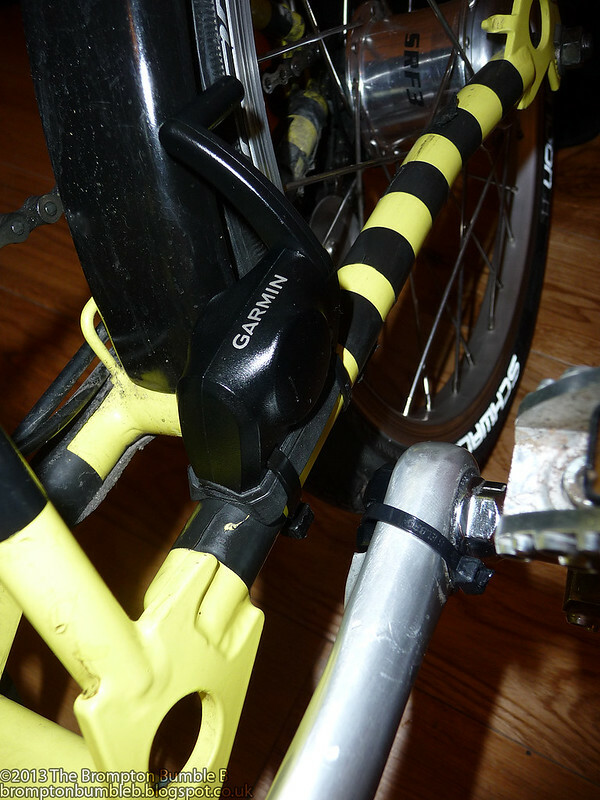 I decided to install the Cadence sensor that came with my Garmin Edge 800. I know gadgets are not a replacement for just hard training and putting the hours in,but then again it couldn't hurt to install it as it was just sitting in a draw gathering dust anyway. Well I'll guess I'll have to see how this works out and how I can use the information. I'm going to see what my current Cadence is and then try to improve it. From what I've been told 80- 90 revolutions per min is a good target to aim for. Take heart, Mr. Legend! High winds, mud, and cold are formidable opponents, but not necessarily a true measure of your abilities. Are target revolutions the same for a Brompton as for a bike with different size tires? Or is that a setting you customize inside the 800? I think the target revolutions are the same on any bike. Its basically what the rider's personal style of riding and pace he or she is able to be most efficient.